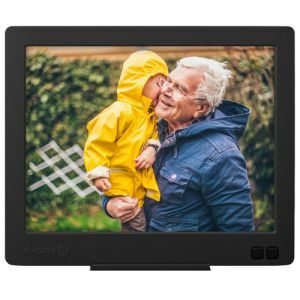 Nixplay is an American company that provides WiFi digital frames to share photos with you friends and family instantly. Its products immediately display your photos anywhere in the world to the people you most want to share a moment with. With Big Apple Buddy’s personal shopping service, you can now buy direct from the Nixplay online store anytime, anywhere. The Nixplay Edge Frame is the new fun way to share and display photos. The device connects to all social media platforms so there's nowhere you can't share your pictures and videos from! The elegant and defined design and high-quality display make the Edge Frame a must have for friends and families that are far way. It also comes in two sizes, the 8 inch and the 13 inch, so you can choose how to view your photos and how portable you need it to be. The NIX Digital Frame is yet another way to share your favorite photos with loved ones. It's extremely easy to use and the photo reproduction when resizing to fit maintains its high-quality and crisp display. Don't know what size to get? 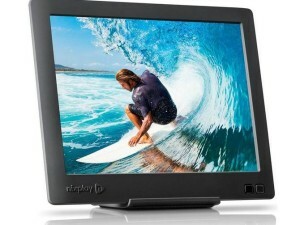 The Digital Frame has multiple options so you can pick what best fits you. Whether it's the 8 inch, 12 inch, 15 inch, or 18 inch, Nixplay has you covered! They aren't called frames for no reason! The Nixplay Edge Frame and NIX Digital Frame are light enough so they can be mounted on walls and displayed through out your house. They'll look like any of your other picture frames except constantly updating to let you see what others are sharing. It even has a motion sensor so you safe on your energy bill when you're not around the device! Unfortunately, the USA Nixplay online store does not currently offer international shipping. However, Big Apple Buddy, your personal shopper, can help you buy products direct from the official USA Nixplay online store and ship them to your doorstep, no matter where you are in the world. If you would like to buy from the USA Nixplay online store, simply let us know which items you would like to order (by filling out the form below) and we’ll get back to you with a free international shipping quote within 24 hours!